"My wife and daughter recently spent 10 days in Paris and stayed at St. Julien. The online photos looked just like the actual apartment, which was amazing. 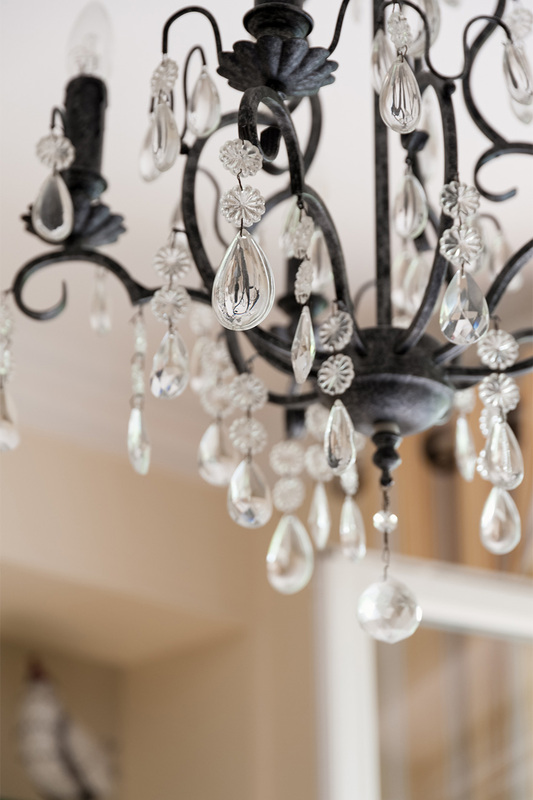 The two bedrooms and two bathrooms were..."
"Absolutely stunning! This apartment was more than I imagined it to be. It's conveniently located to Rue Cler, bakeries, cafes, grocery stores, and the Eiffel. The view of the Eiffel from the living..."
"We enjoyed our stay very much. The location was perfect. We will definitely be using your services again. We had the most memorable experience!" "Nice apartment and spacious and its location. The stairs were always dark going downstairs so it was a bit of hazard." "Thank you Paris Perfect! We enjoyed our stay at the Saint Julien apartment. The apartment layout was perfect for our family and the location was wonderful. 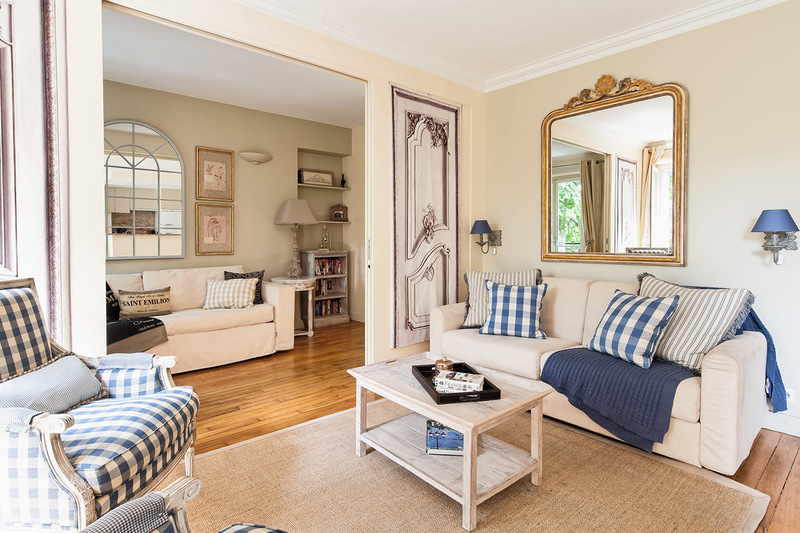 We enjoyed exploring the 7th..."
Decorated in a cheery French Provençal style, the popular Saint Julien is a gorgeous and sunny apartment featuring large French windows facing onto the beautiful Champ de Mars Gardens and a stellar view of the nearby Eiffel Tower through the trees. 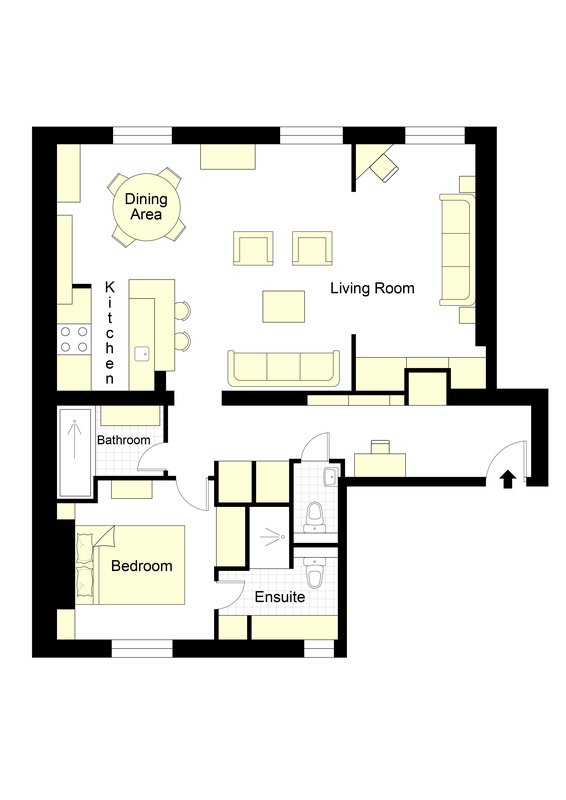 This 2 bedroom apartment sleeps up to 6 people and features a large living room. The apartment is ideal for a small family or friends who need separate sleeping space and 2 bathrooms. The second bedroom has sliding doors which open during the day to create more space in the living area - at night you can just close the doors for some privacy. The sofa bed is perfect for sleeping in every night and the second bed is a smart trundle bed which slides out and pops up neatly. 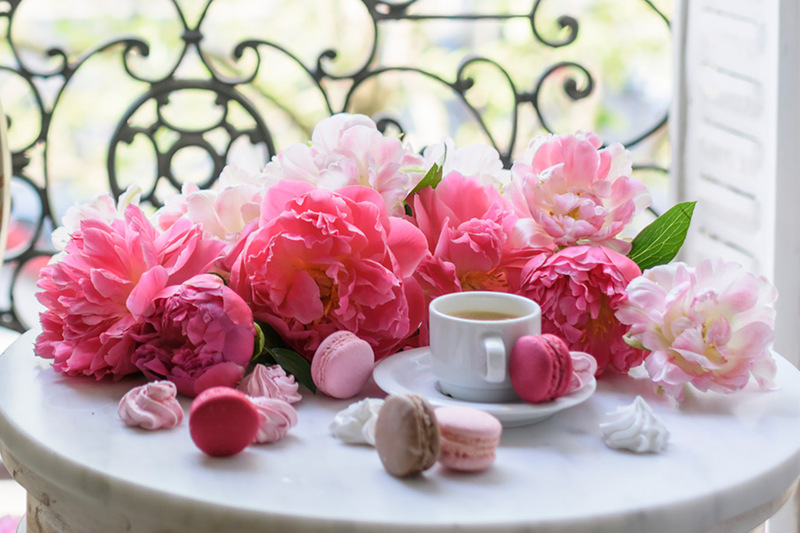 Staying at Saint Julien, you are just a stone's throw from the Seine, cafés, shops, restaurants and open markets - all you need live "la vie Parisienne!" Apartment Security: The neighborhood is regarded as one of the safest in Paris. The building has a digi-code panel on the outside door, a locked inner lobby door, and the apartment door is steel reinforced. We have also installed a safe for your valuables. Fully-equipped with pots, pans, utensils, glassware, dishes, and so on. Nespresso machine, a favorite among guests! Balcony: Small decorative balconies wide enough to step out on, but not wide enough for a table and chairs. You can see the Champ du Mars Gardens and through the trees to the Eiffel Tower. Double glass windows for excellent sound insulation; the rooms are quiet with the windows closed. Televisions x 2: CNN, BBC and other English channels available. DVD Players x 2: dual-standard so you can bring your own movies or rent French ones nearby. 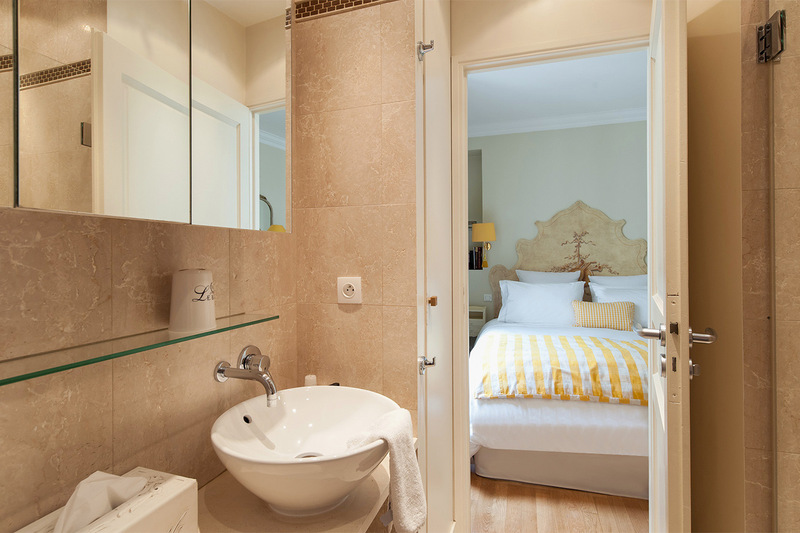 We hope you had a wonderful stay in our Saint Julien apartment. Please take a moment and click here to share a review of your experience with us. "My wife and daughter recently spent 10 days in Paris and stayed at St. Julien. The online photos looked just like the actual apartment, which was amazing. The two bedrooms and two bathrooms were perfect for three adults. The kitchen, washer/dryer was great for a 10 day stay. The location was..."
"Absolutely stunning! This apartment was more than I imagined it to be. It's conveniently located to Rue Cler, bakeries, cafes, grocery stores, and the Eiffel. The view of the Eiffel from the living room area was magical, especially when the Eiffel twinkled. 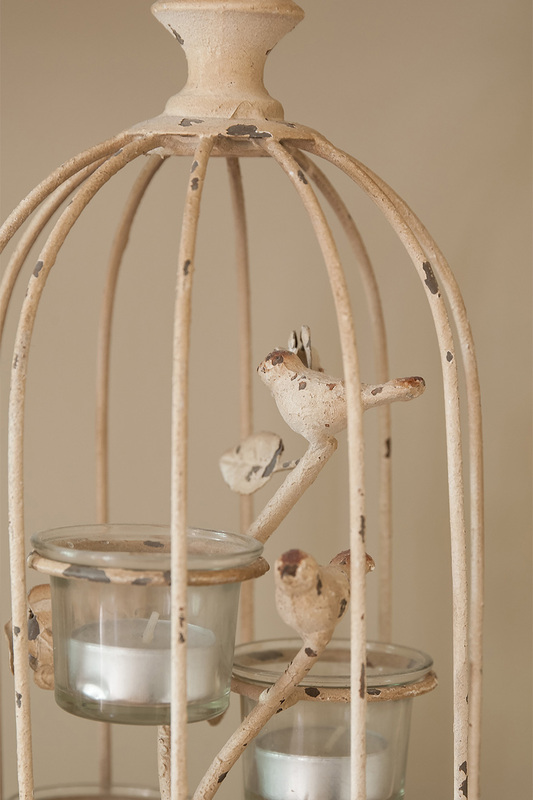 We enjoyed many evenings indoors using..."
"Thank you Paris Perfect! We enjoyed our stay at the Saint Julien apartment. The apartment layout was perfect for our family and the location was wonderful. We enjoyed exploring the 7th arrondissement together. 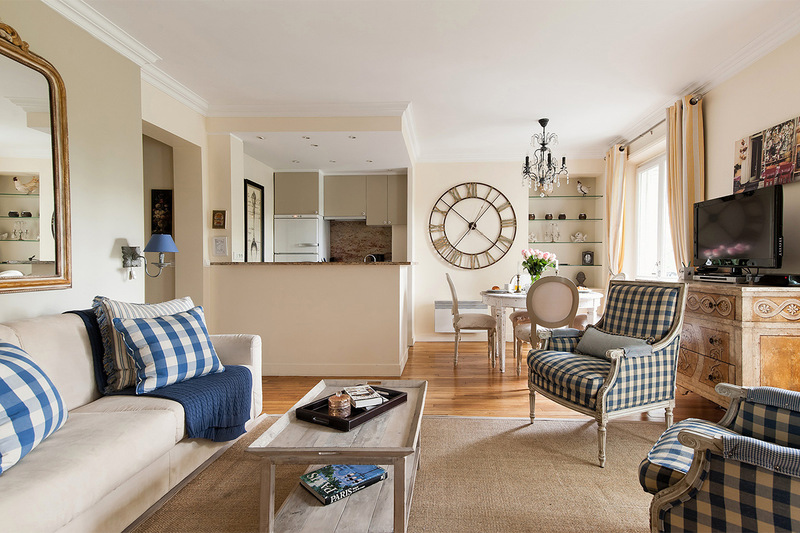 This is the second apartment in the 7th arrondissement from Paris Perfect that I have..."
"Excellent - The apartment was very comfortable and had every we needed. Very clean with ample linens and pillows. The welcome touches and basics were much appreciated. Would love to come back." 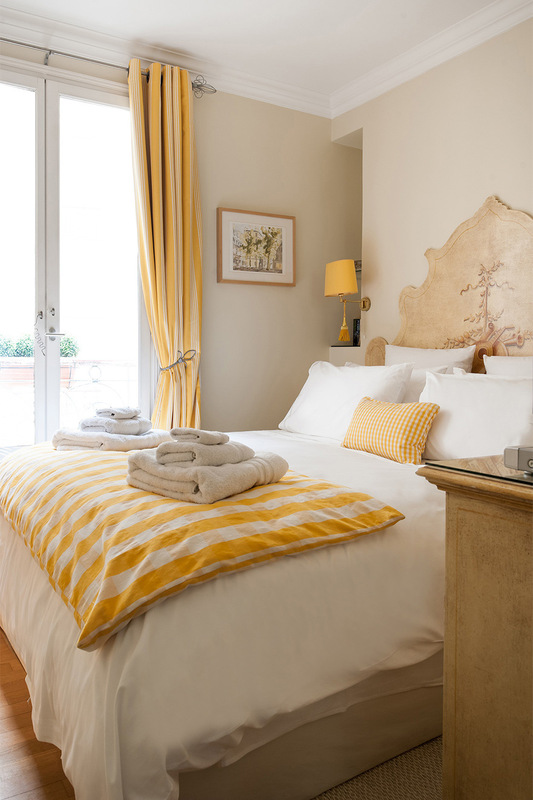 "My husband and I absolutely loved the Saint Julien apartment. It is right in the 7th arrondissement -- which we think is one of the best districts! The apartment is very near lovely restaurants and shops. It is perfectly sized and the second bathroom came in handy when getting ready for a night..."
failed to provide us with a..."
"This was a great location and base for us. With cafes and supermarkets in walking distance, bike hire just around the corner and a metro station easily accessible. 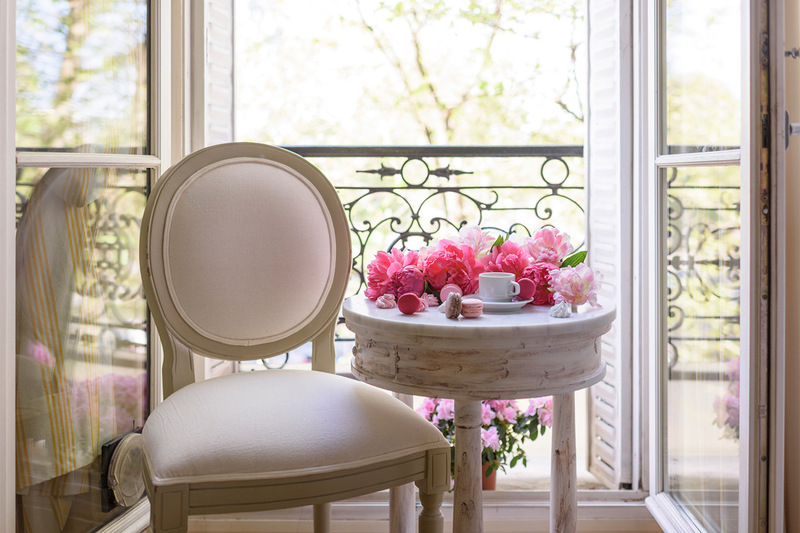 With so much on offer in Paris we were busy but enjoyed coming back to the apartment of an afternoon to just sit and watch the world go..."
"My granddaughter and I spent 8 wonderful days doing all things Paris, based in the Saint Julien apartment, as we celebrated her 16th birthday. This was my third Paris Perfect apartment, her second and we agree that it really was perfect for this trip! We both loved being so close to the twinkling..."
"Paris Perfect was just "Perfect". The entire experience was fabulous. Everyone we worked with along the way was extremely professional and friendly. We will certainly recommend your services and book through you again soon." "The perfect apartment for our family. We loved having two bathrooms and a small sitting room that converts easily to a bedroom with a trundle bed/couch. The street (Rue Saint Dominque) has everything you need with two patisseries, a butchery, wine store, pharmacy, and grocery store. 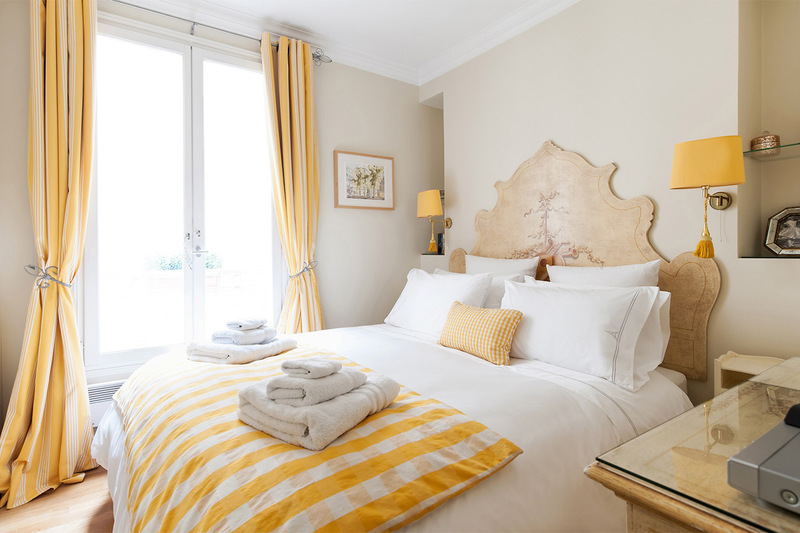 Great..."
"My wife and I thoroughly enjoyed our weeklong stay in the lovely St. Julien apartment during our anniversary celebration trip to Paris. This was our first time renting an apartment for a vacation stay, and we were delighted not only with the apartment itself, but also the efficient booking..."
"The apartment was very clean and perfectly located, close to the Eiffel Tower and other shopping areas and restaurants which were in walking distance. The metro station was also a quick 5 minutes walk away. 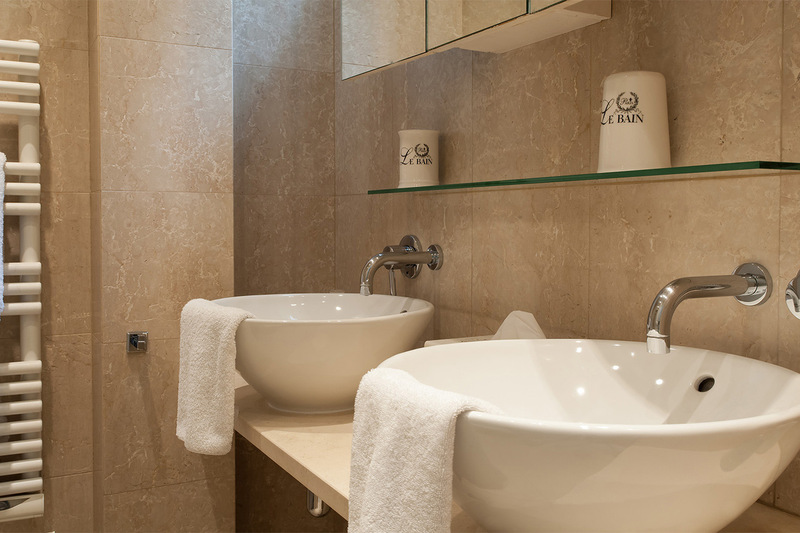 The amenities in the apartment were great, including a washing machine and..."
"We thoroughly enjoyed our stay in the lovely St Julien apartment. 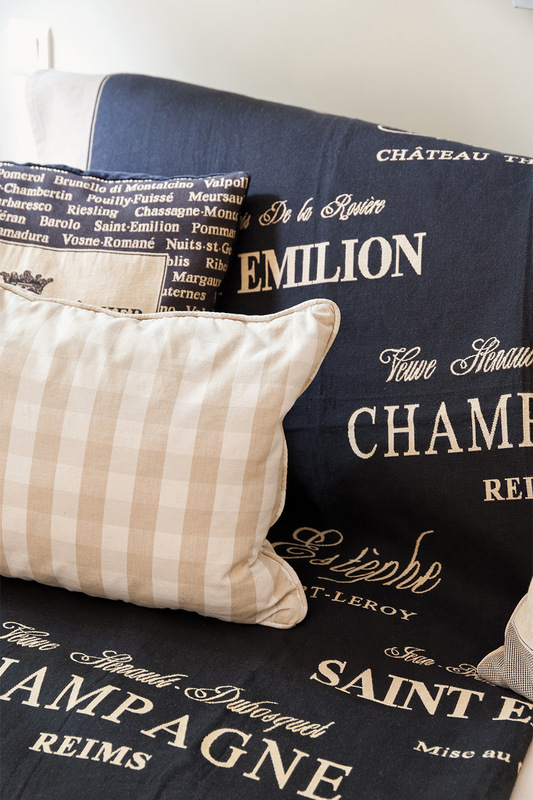 Tastefully decorated, and great for a quiet nights sleep! Cesar was friendly (our greeter) answered our questions. Telephone contact with the US based Paris Perfect team was professional and thorough." 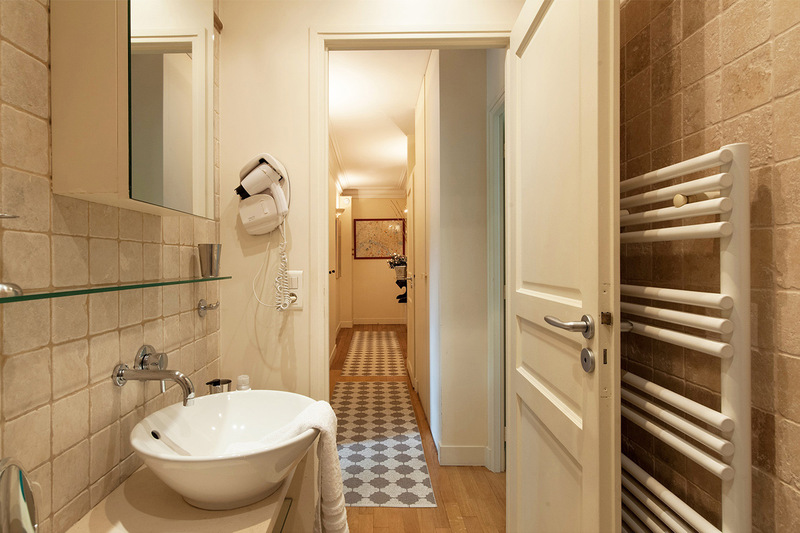 "I would highly recommend the Saint Julien apartment; tasteful decor, lovely open concept design, even two full bathrooms so you don't have to share which is rare in apartments in Paris. Located beside the Eiffel Tour (views in late fall and winter) all amenities just steps away such as patisserie,..."
"The St Julien was a lovely apartment. A great location and easy to find. Paris Perfect Rentals were super accommodating as well as Victors cab. I highly recommend this unit and Paris Perfect." "Great apartment, loved the location. Great neighborhood lot's of places to eat. Would love to stay here again. The team were super to work with." "Everything was great. The person who met us at the apartment was there when we arrived and provided all the necessary information, was polite and informative. The location was perfect and apartment in perfect shape. Another great experience with your group of companies"
"We had a lovely stay. 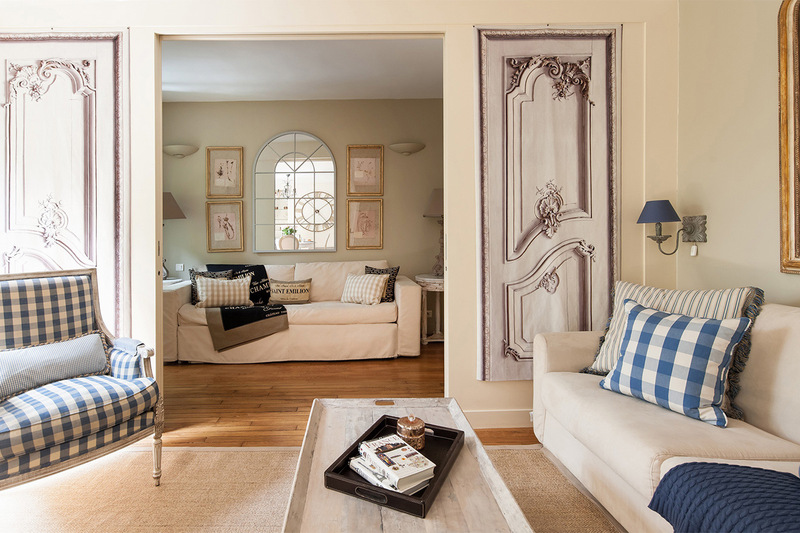 This is our second Paris Perfect apartment. Both experiences were indeed perfect and we recommend your company to anyone we meet who is heading to Paris. Your representatives could not be more pleasant, attentive or accommodating. We mentioned that our daughter loved the..."
"Lovely apartment near nice restaurants and metro nearby. Apartment was ideal for our family of 3 with a teenager. Excellent service from the apartment team. We really also enjoyed all the tours and the tour guides were extremely well educated about Paris. Love locals!!!" 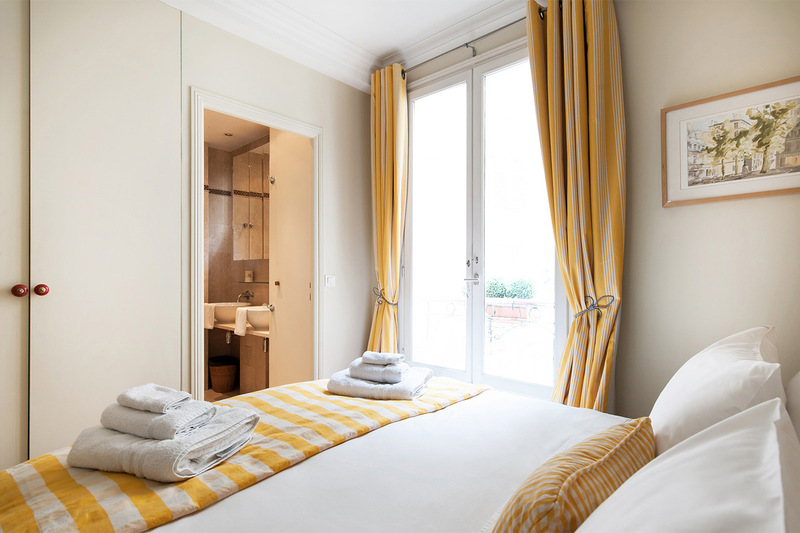 "My family-husband and 2 teenage daughters loved St.Julien apartment! It was a wonderful location with lots of fantastic restaurants right down the street. The apartment had everything we needed and was beautifully decorated. 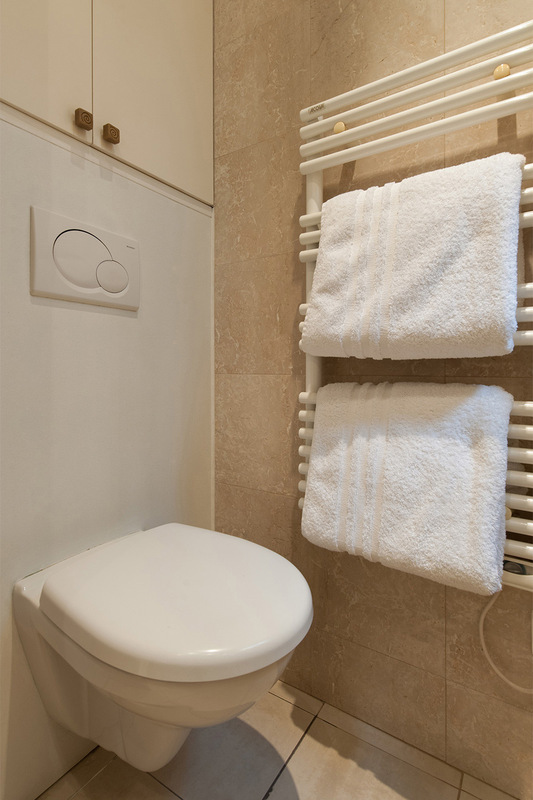 Having 2 bathrooms with teenage girls was a big plus as was having a..."
"What a wonderful stay in Paris, and once again it was perfect! The Saint Julien apartment is in a wonderful building in a prime location. So many wonderful restaurants and convenient food shopping just within the block. The apartment itself was outfitted with every convenience, and the space was..."
"The apartment was lovely and decorated beautifully. Our experience was wonderful and we loved the area. Rue Cler was very close and the bakery a few doors down had amazing bread and the ladies were so sweet to us. The only disappointment was that there really was no view of the Eiffel Tower. ..."
"Two of my friends and I stayed at St. Julien in early May. We have stayed in a couple of other apartments in Paris and the location and this apartment were perfect. Paris Perfect is a great company to rent from. The apartment was well stocked to start your stay. Renting an apartment in my opinion..."
"The apartment was great! It had all we needed and more. The location was terrific and the neighborhood was nice. Kevin was a great welcome person. The book was helpful too!" "We stayed at Julien...it exceeded expectations. The Paris Perfect team gave us again another "perfect" Paris vacation. The apartment was lovely, the location on St Dominique was outstanding, and the team answered every need. ParisPerfect is wonderfully perfect!! We are looking forward..."
"Paris is always perfect with PARIS PERFECT! 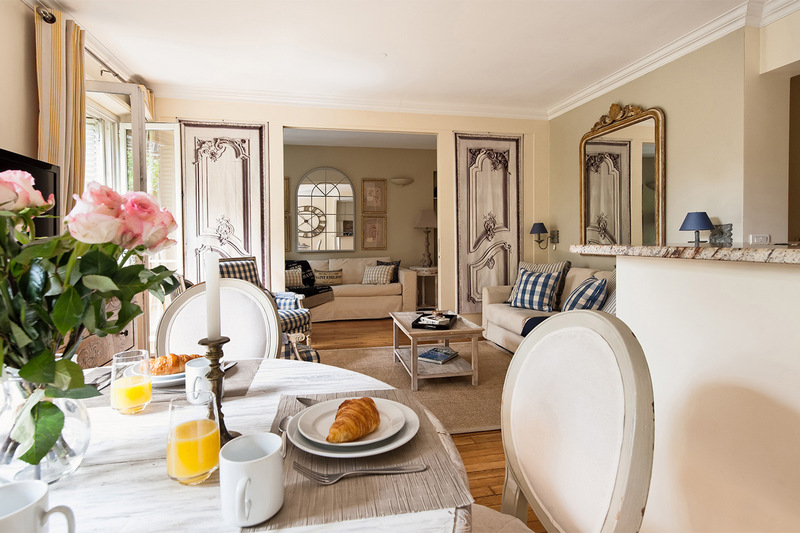 Over the last decade, we have stayed in several of the Paris Perfect apartments in the very same building and have loved them all...especially now our latest, Saint Julien. 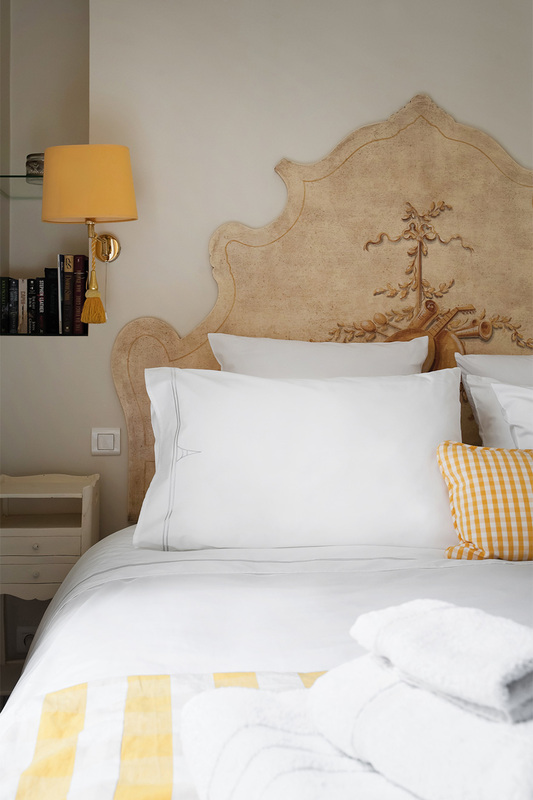 It was beautifully appointed, cozy and made us feel like true Paris residents! 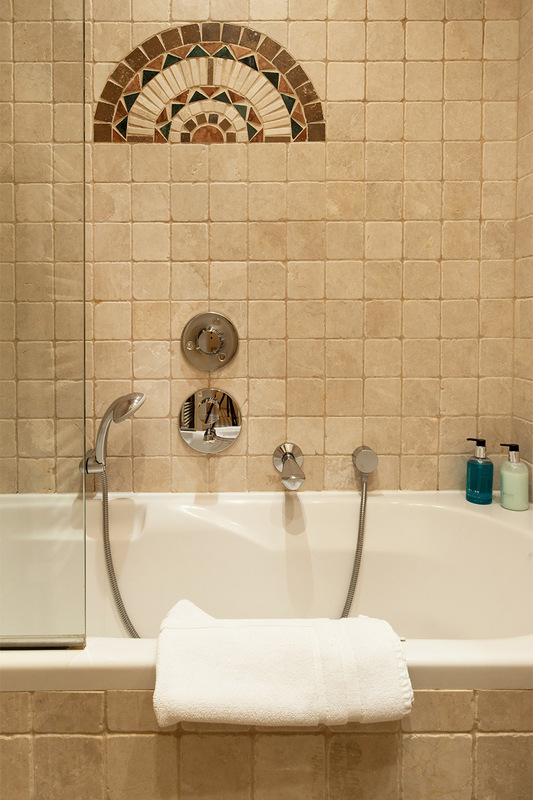 ..."
"The name Paris Perfect fully embraces my family's first and recent experience in staying at the St. Julien. Just from the intitial booking and planning alone, the chat feature of the website helped me find this gem with very corteous and informative responses. When we booked, what really helped my..."
"Charming apartment on rue st Dominique. Everything you could want to make dinner or dine in one of the delicious neighboring restaurants. The bedroom is situated on the courtyard... so it's very quiet. "Our stay in Paris at the Saint Julian was wonderful! The apartment was exactly as it was shown in the pictures. It was beautifully decorated and had all the conveniences of home with so many little extras. There was even a bottle of wine waiting for us! Thank you Paris Perfect for helping to..."
"We have stayed at Saint Julien, Volnay and one other I believe whose name escapes me. I cannot say enough good things about these apartments, their owners and/or agents and the reps that are there to take care of every want and need you can possibly request. 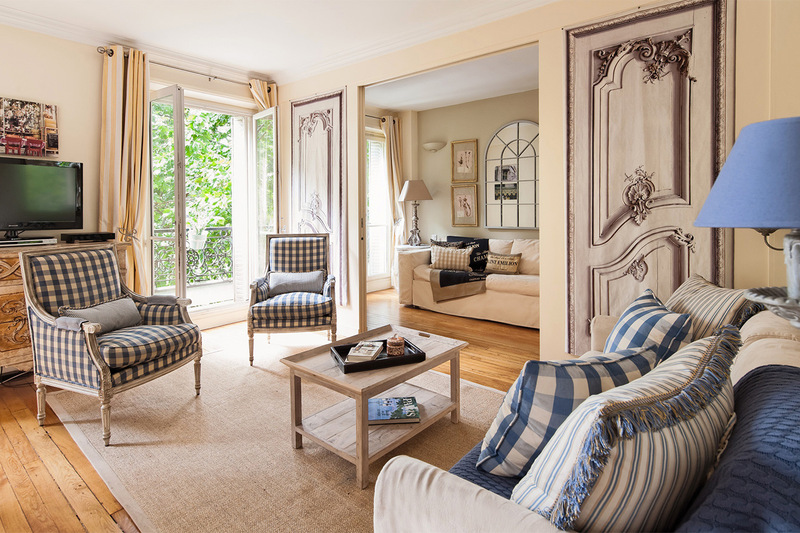 The apartments are identical to what is..."
"We spent a delightful week in the Saint Julien on our first visit to Paris. 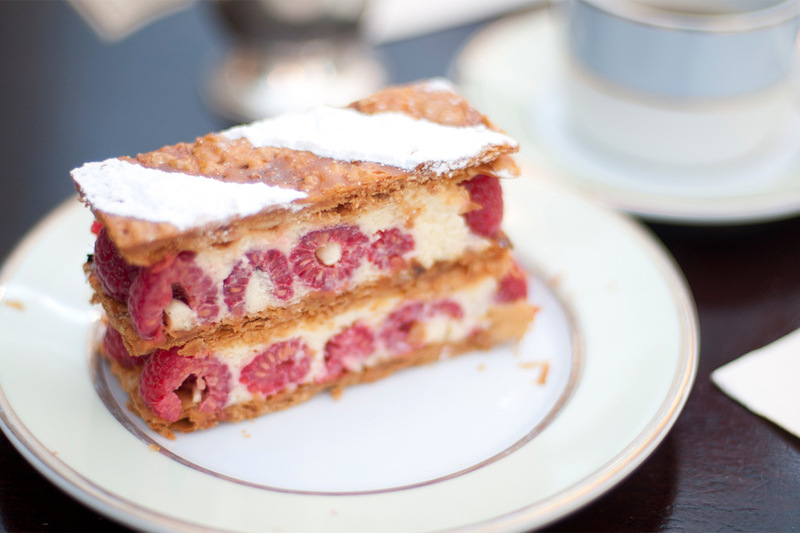 The location is ideal, just a few steps to wonderful patisseries and cafes. We were there during the 2016 Euros and despite large crowds nearby the apartment was extremely quiet. A small disadvantage is the metro is a bit..."
"We had a lovely experience during our week renting the St. Julien apartment in December, 2015. 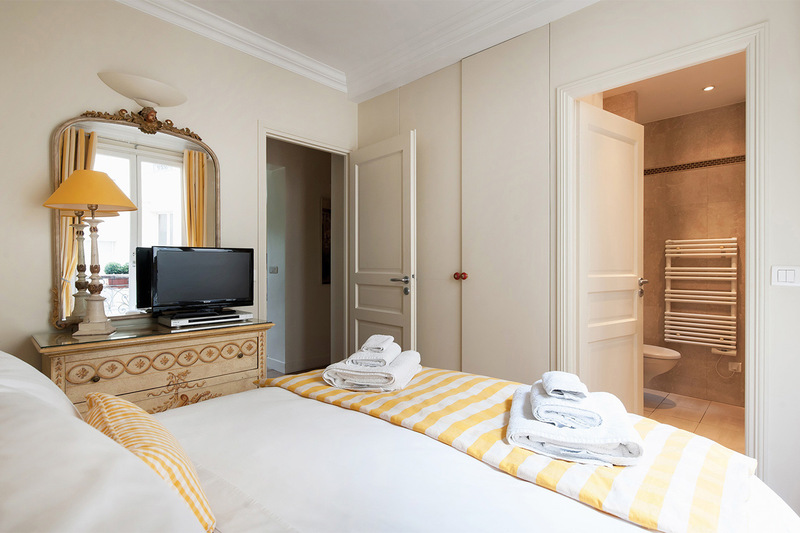 We were initially booked for the Pomerol but there was work being done in that building when we arrived so Paris Perfect offered to upgrade us to the St. Julien at no additional cost which turned out to..."
"Beautiful location, apartments and amenities. It is our second time in that building on rue St. Dominique and we would return again and again. Staff is amazing." 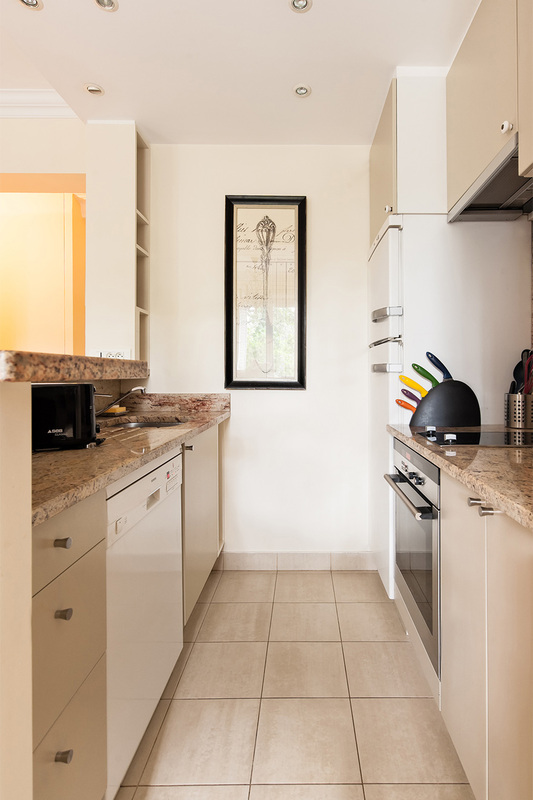 "We thoroughly enjoyed every aspect of this apartment and would definitely request it again. We are familiar with the building. The location is a short walk to Rue Cler market street and to Les Invalides and the Rodin Museum. 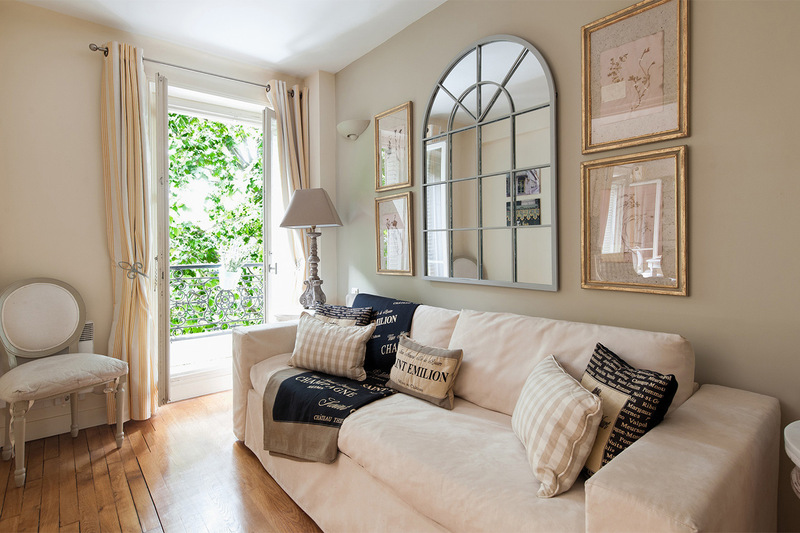 St. Julien has a panoramic view of the Champs de Mars from a wall of..."
"Lovely apartment, very comfortable. The true bonus was having a water closet plus a bath room with a toilet! The neighborhood is wonderful. We've been coming here a long time and this area feels like a second home to us. The various restaurant and shopping suggestions in the booklet in the..."
"This apartment is one of my favourites, location and well equipped. The decor was beautiful!! As usual Paris Perfect takes the stress away from holidays. Hospitality, ammenities, staff are delightful and very helpful. Always recommend!! Appreciate all the recommendations, love the Constant's..."
"Hard to find a better place to celebrate Valentin's day than Paris. Since it was February, weather issues are to be expected. Having a wonderfully appointed and spacious apartment such as St Julien made that a non issue. The apartment and location were perfect. 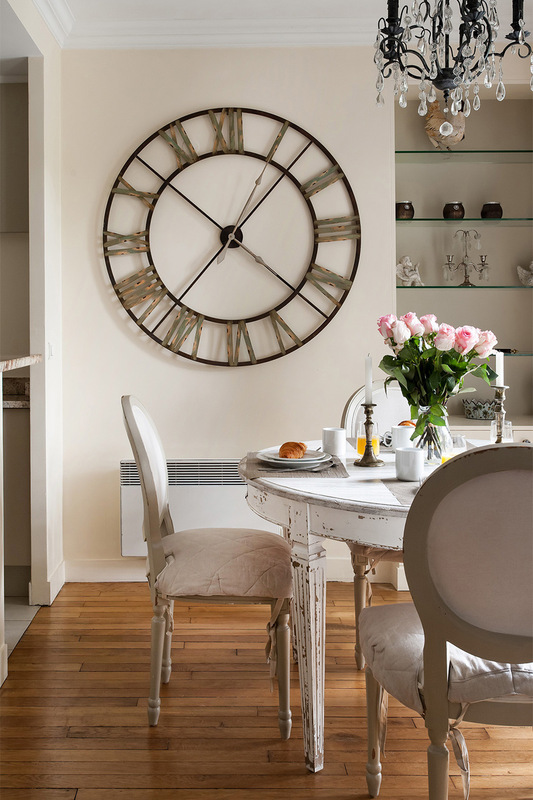 The best part of Paris..."
"Another wonderful stay in a Paris Perfect apartment! Their properties never disappoint, from the moment you walk in. 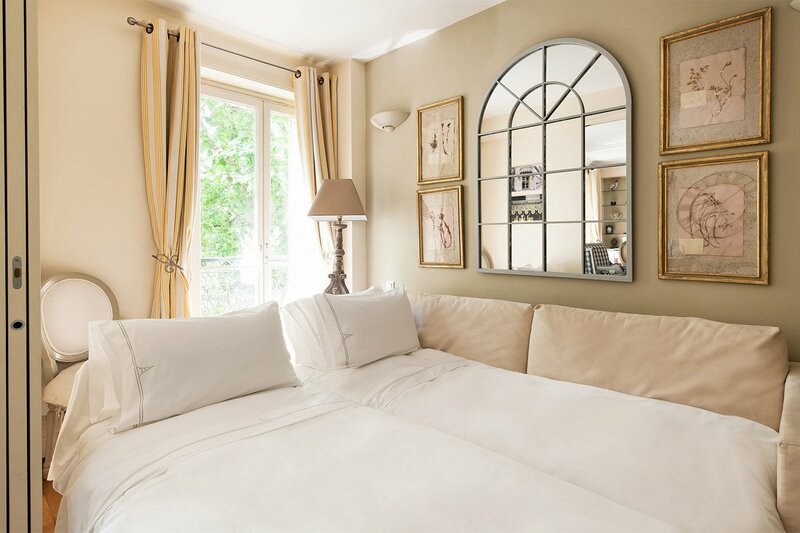 The views were stunning, with a side-view of the Eiffel Tower, which could be seen for the dining room, front room and small bedroom alcove windows (be mindful, they are not..."
"This was our third stay in a Paris Perfect apartment and as always it was well.....Perfect!!! Can't fault the service, apartment standards and location in Paris right near the Eiffel Tower. It is our only choice for accommodation when we stay in Paris. 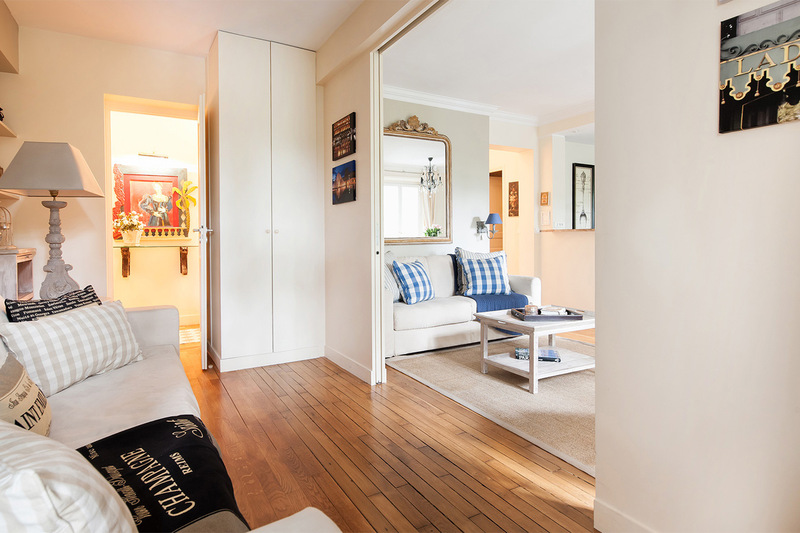 We will be back:)"
"Saint Julien is a lovely apartment: comfortable, attractive, ideally located for sight-seeing and enjoying neighborhood life in the 7th Arr of Paris. Although located in a very active neighborhood, it is quiet in the building and in the apartment. Wonderful patisseries, fromageries, green groceres..."
"The Saint Julien was indeed the "Perfect Paris" apartment for us. This being the second time we had rented from you (the first was a very nice apartment off Blvd. Raspaill in 2010),we knew what to expect and, I must say that, if anything, your company has become more efficient and..."
"Wonderful apartment with a very short walk to the Eifel tower. The location is excellent. It was also nice to have a washer and dryer. The shower was wonderful. We were very happy with this place and would recommend it. 1. The building elevator is very,..."
"Great apartment and location. Well kept. Bathrooms are very modern. Safe location. We really enjoyed our stay here. It was perfect for our family of 4 which include 2 adults, one 8 year old and a 1 year old. It is walking distance to Champs de Mar, Effifel Tower and Rue de Cler. There are some..."
"Beautiful apartment. Great time. The team were very responsive! Thank you! We are already planning our next visit!" "The apartment was great and really well equipped, great location. Sam was very welcoming and informative." "Apartment was as described online and information provided accurate. Lisa was exceptional help." "Not only were we extremely impressed with the apartment, we are completely sold on Paris Perfect. They are a truly professional outfit. Kevin was waiting for us at the apartment, and in painstaking detail he went through everything with us. 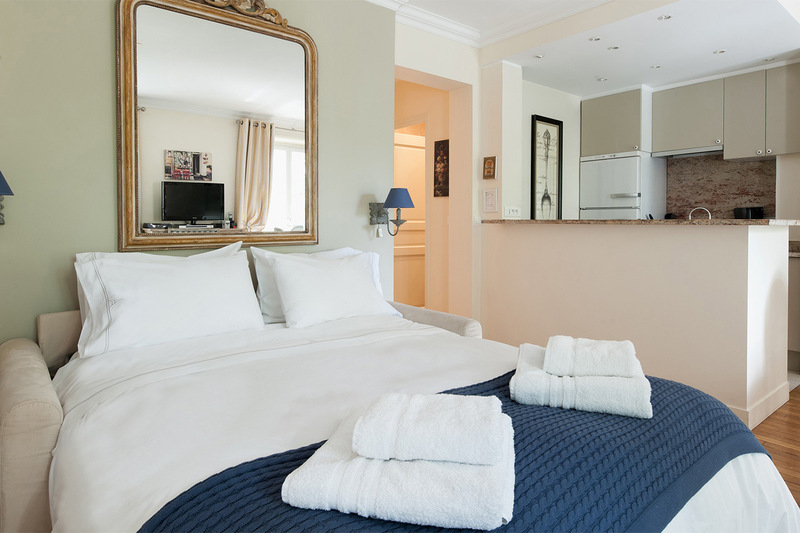 We didn't have to contact him again, as his de-brief, plus..."
"The Saint Julien apartment provided our family of 5 comfort and convenience in a fantastic location. After a long day of trekking around Paris, we sat with a glass of wine and watched the Eiffel Tower twinkle out of the living room windows. From the beginning of our trip, Paris Perfect made it..."
"Our family of four enjoyed staying at Saint Julien for our brief stay in Paris. The apartment was clean and sufficiently stocked with necessary items. The location was perfect for the Eiffel Tower - it was a little walk to the Metro but most of our trip entailed walking so we were fine with..."
"The apartment and Paris Perfect were wonderful. 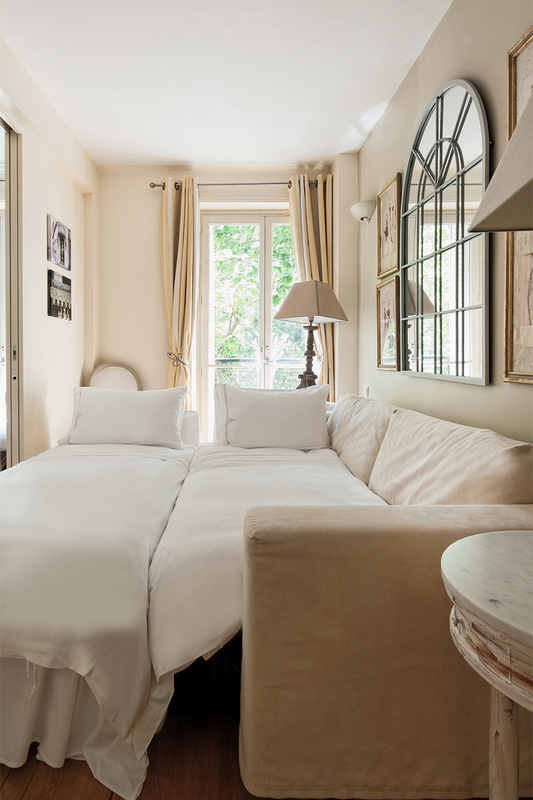 If you truly want a Parisian experience this is where to stay. 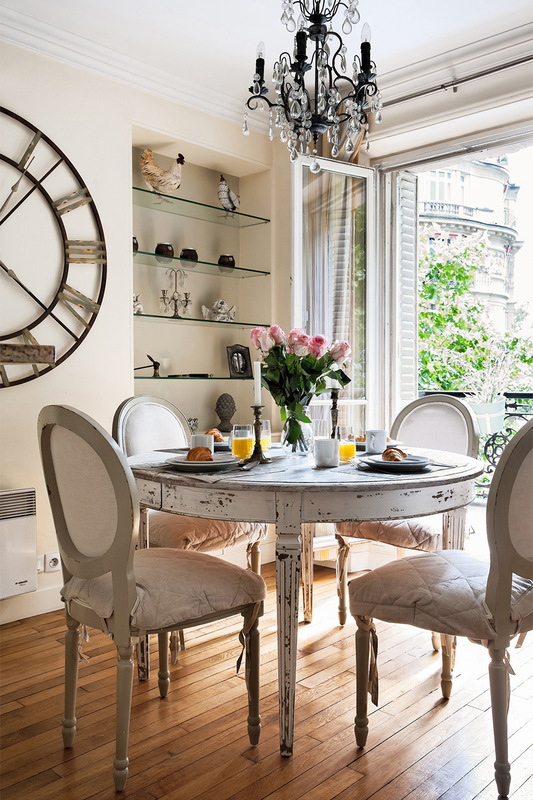 The Eiffel tower right outside your window, superb dinning on your street and the rue Cler just a few blocks away." 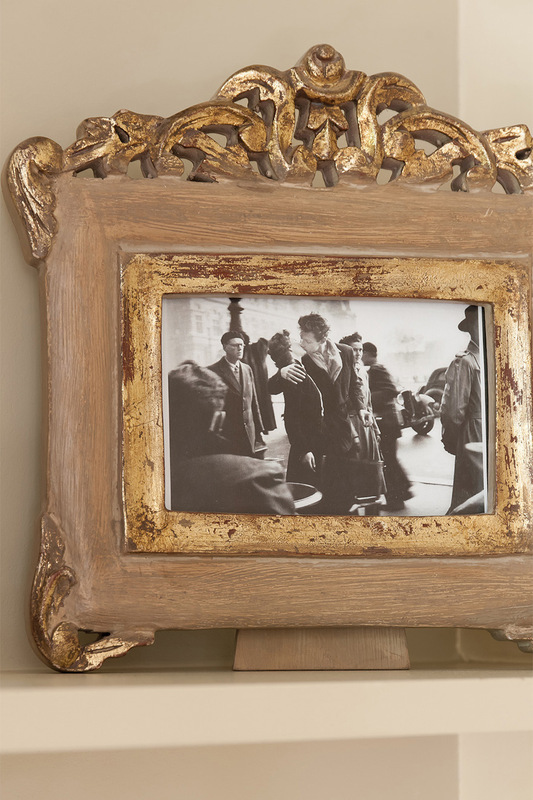 "We recently returned from Paris. This was our third time staying in a Paris Perfect apartment and, again, it was a great experience. St. Julien had everything we could possibly need for a two week stay. 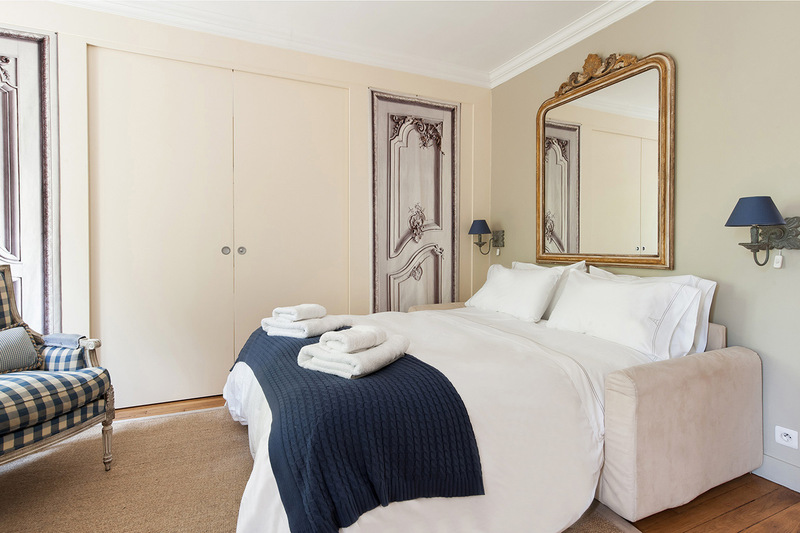 It was bright and comfortable and had plenty of storage, which always amazes me knowing that..."
"Our familty of 5 recently returned from a 1 week stay in the Saint Julien apartment and could not have been more pleased with our stay. The apartment was exactly as depicted on the website with great furnishings and an awesome location. On our trip to Europe, we rented a total of 5 apartments in..."
"Wonderful apartment on a fantastic street with great shops and top restaurants. Quality and value were outstanding. Paris Perfect team was very responsive and well-informed. Had all the answers right away. We highly recommend Paris Perfect." "An fine choice for our return to Paris in a new location for us. The apartment was as described in the website and is located in a convenient location to excellent dining and market choices." "Thank you Paris Perfect for enhancing our stay in Paris. The service was exceptional from the time of our booking. We felt that every effort was made to make our stay in Paris trouble free. The information on what to do and where to eat was wonderful with many hours spent by all..."
"My husband & I had great holiday in Paris and a large part of that great experience was thanks to Paris Perfect. We had wonderful service from the time we booked the apartment to the moment we left Paris on our way home. Paris Perfect was helpful & a delight to deal with. 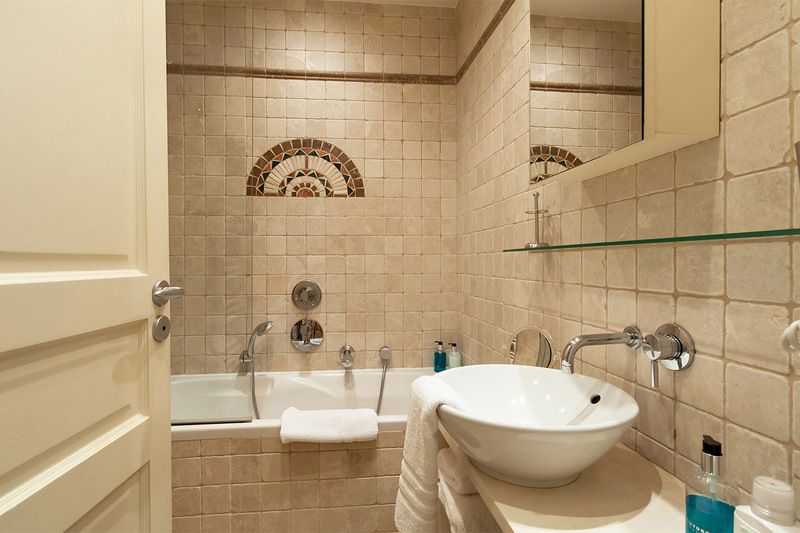 We are planning a..."
"We just returned from our second stay with Paris Perfect and it was even better than our first. We spent 6 lovely days in the St. Julien with our 20 year old son and 16 year old daughter and had plenty of room, as well as private space. 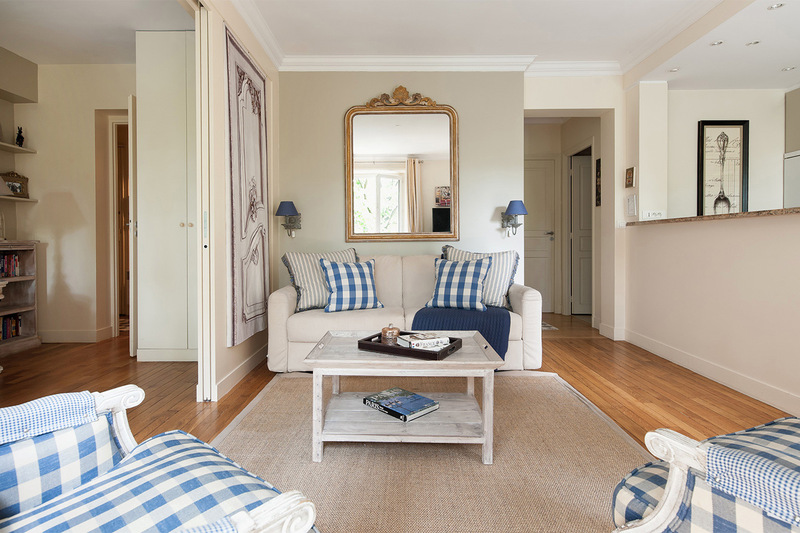 The apartment is as beautiful as the pictures, and the..."
"Our family of five had a wonderful stay at the St. Julien apartment last month. Upon our arrival, we were met by a Paris Perfect staff member, who gave us general information about the apartment and the neighborhood. 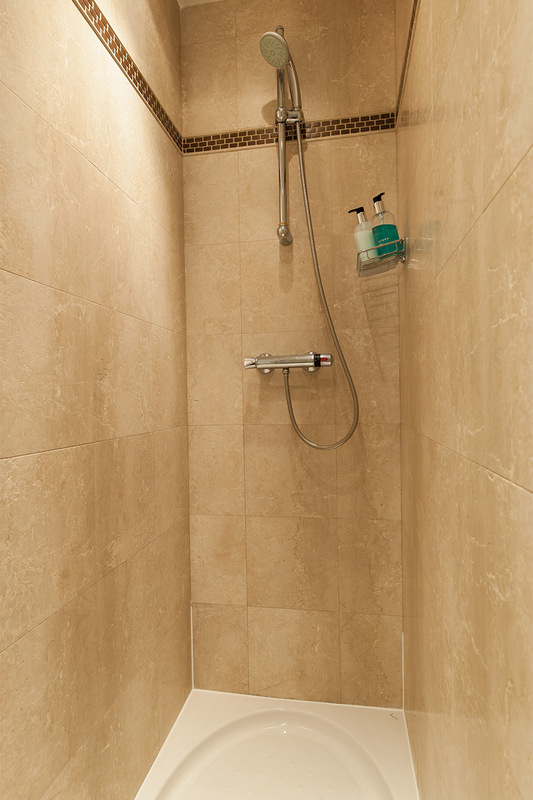 The aparment was clean and in excellent condition. 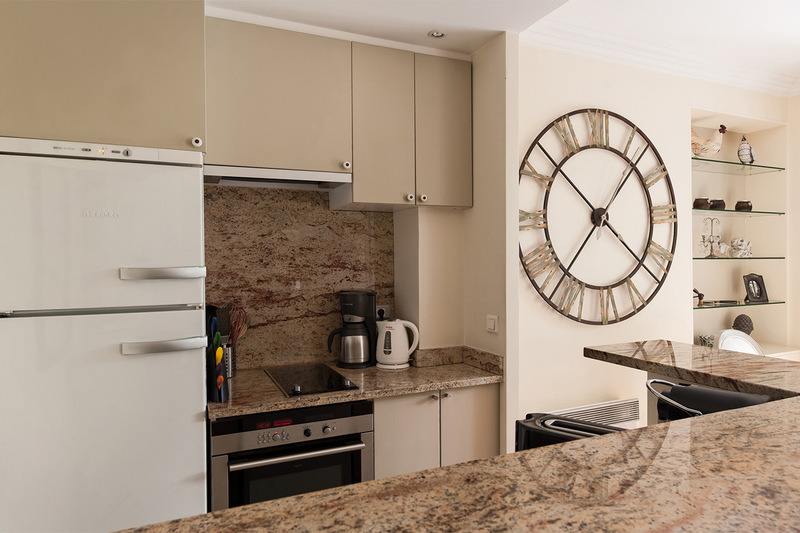 "We absolutely loved our apartment and the area where it was located. The apartment was beautifully decorated and was equipped with all the amenities we needed and then some. 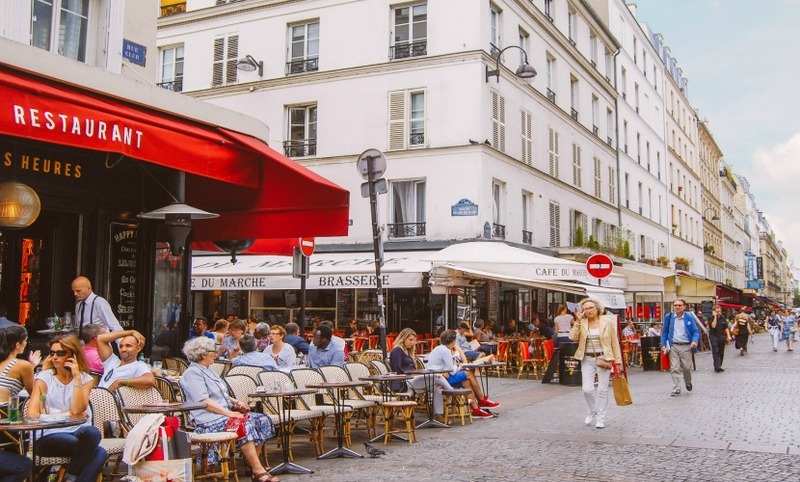 The area was very safe and close (walking distance) to the wonderful places in Paris that we love to visit each time we..."
"We absolutely loved staing here and the neighborhood is great! We found the parisians to be very friendly and helfpul. We can't wait to come back!" "We were really happy with Paris Perfect and our stay in the St. Julien. We used Paris Luxe apartments during our last stay in Paris and were so disappointed that we checked out and stayed in a hotel. Paris Perfect renewed our trust in renting an apartment in Paris and we would highly recommend..."
"We enjoyed our apartment very much; great location! We would definitely recommend friends and family. Hope to see you soon. Au revoir!" "You really have an apt name because you work hard to make sure everything is PERFECT! We have never had such an attentive, organized agency and staff help us with our vacation. The St. Julien was charming and fit our needs. The location was fantastic, the view amazing, the welcome warm. We would..."
"We loved the apartment. The bedroom was completely quiet (it faces the courtyard) and even in December the apartment was filled with light. A highpoint for us was the cooking class at Le Violin d'Ingres. Don't miss it! It was great fun and we learned a lot--and then had a wonderful..."
"I had the great privilige of staying at your wonderful apartment with 3 friends this past Nov. 09. All I can say is that it was truly perfect. Everything was exactly as promised and I loved having a true home to return to after a hard day of enjoying Paris. I will happily return as..."
"My husband, and I stayed at this apartment and found it to be bright, friendly, and the bedroom being in the back of the apartment, extremely quiet. I would rent this apartment again! Merci beaucoup. 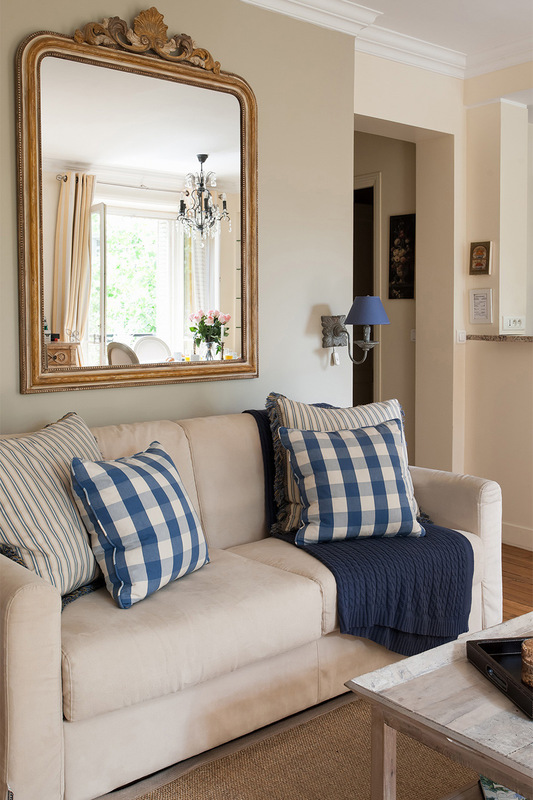 "We loved our stay in Paris and the apartment made it all the more special. The location was great and we especially enjoyed the Christian Constant restaurants on Rue Saint Dominique. We also had fun on the Fat Tire bike tour of Paris and the tour of Normandy. 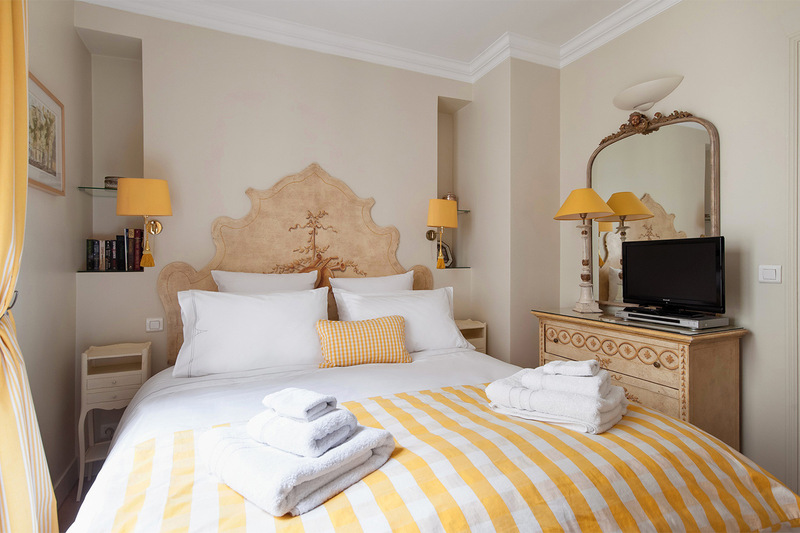 We can't wait to go back and stay at..."
"Yet another delightful spring holiday with Paris Perfect. They do not disappoint. Already planning our next stay." 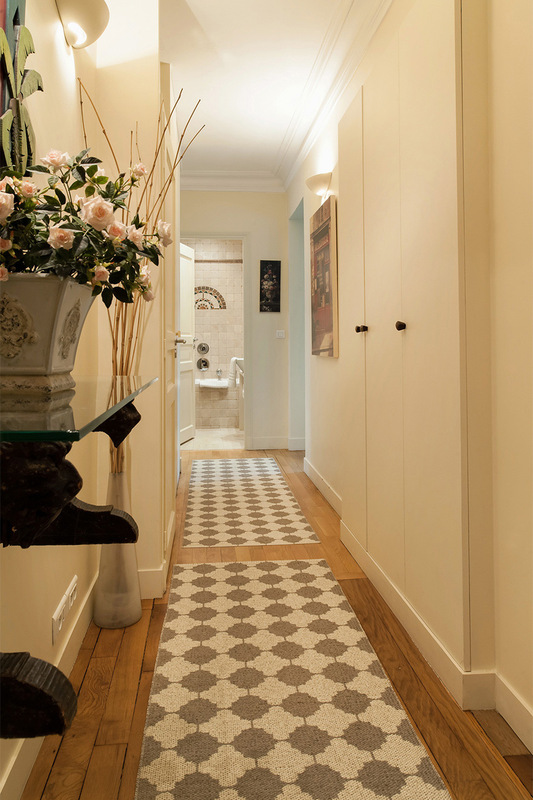 "The Paris Perfect Apartment has been a wonderful Parisian experience. It has added a special dimension to my stay! Wonderful location and wonderful staff! Thanks so much for the personal attention. Look forward to coming back." "Bravo to Paris Perfect. You made my first trip to France a beautiful experience. The apartment was perfect and your information booklet help me get around Paris like a pro. I would like to thank your team for picking out a perfect apartment for me to stay in because I enjoy watching..."
"Bonjour Madelyn, Philippe, Paris Perfect staff! Thank you so much for renting the spectacular St Julien to our family! After spending a week in a hotel, this apartment has been a breath of fresh air! We loved the magnificent Eiffle Tower at night! The suggestions in your book has..."
As always, we all much enjoyed our stay at your wonderful apartment! Thanks for accomodating us at the last minute. A la prochaine et Bonne annee!" We loved staying at St Julien. It really feels like home! The beds are very comfortable, the décor is beautiful and the view of the Eiffel Tour made my daughters 1st trip to Paris unforgettable! I'll pray, everyday to come back again soon! ..."
"Wonderful stay! This is our third apartment and always wonderful - It makes our stay in Paris more like home with the lovely neighborhood & perfect! Thanks Again." "My dream comes true with this Apartment in the 7th and with view on the Tour Eiffel! Wonderful staff! With the freezing weather, this apartment is really a home for us especially as we came from far away "Hong Kong"! "Our stay here has been an absolute delight - we've loved the apartment - it's location is perfect, the neighborhood so wonderful for establishing a home here. And your staff were very helpful - we hope we'll be able to enjoy one of your apartments again. Merci." "We had a wonderful time in Paris. The weather was perfect, the sights just beautiful - and the apartment delightful. The location was great and all the "necessities of home" were welcoming in our apt. Your info ahead was most helful. If you enjoy Indian food..."
"Another wonderful stay with Paris Perfect! Loved the colours in the apartment and 3 lovely windows letting in all the afternoon sunshine. This is probably about our 5th or 6th Paris Perfect apartment: L'Hermitage is definitely our favourite but this would be the next best! 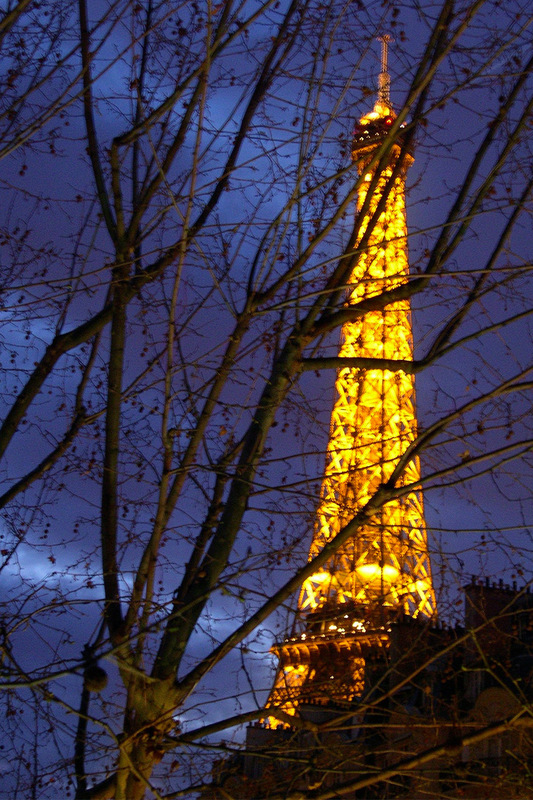 "I liked seeing the Eiffel tower sparkle outside the window. And I liked getting fresh croissants right downstairs each day! I liked the elevator. Thanks for an amazing intro to Paris. Everything you provided made our trip perfection. And we agree Café Constant is Top 5! Au revoir et a bientot!" St Julien is absolutely perfect - warm, cozy & a pleasant "home" to come home to after a hard day shopping and sight-seeing in your beautiful city. You have everything thought of to make a stay as close to home as can be. ..."
We have had a wonderful stay at St Julien, the apt is cozy and well-equipped, with everything one needs and all modern amenities. The location is fantastic and the access to the neighboring food-stores, bakeries and restaurants and other delicious attractions make..."
It is our first time in Paris as a family & are now thoroughly in love with this beautiful city! The location of St Julien is perfect - we loved the boulangerie and patisserie nearby. The restaurants your recommended were great, especially La..."
Our stay was wonderful! The apartment have everything we needed & was most comfortable - We will not stay in a Paris Hotel ever again. 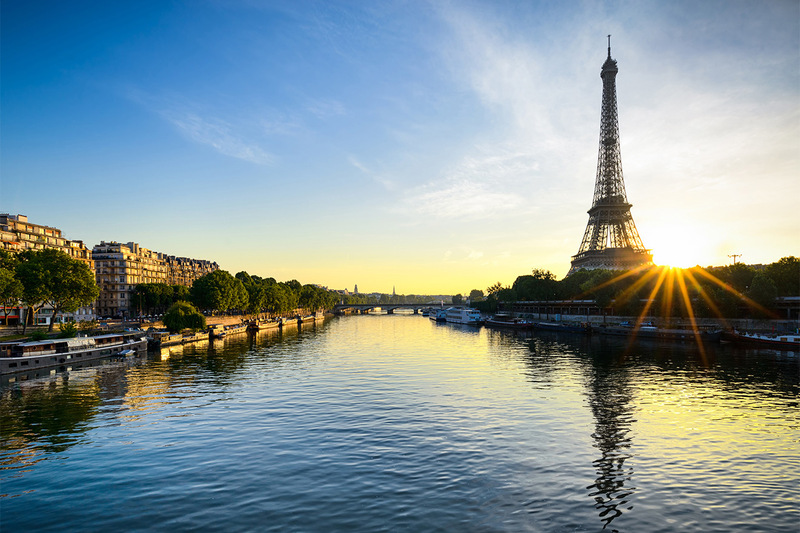 Your guidebook was thorough and a big help - You seem a very efficient organisation and it was most..."
"Thank you Paris Perfect Team for an amazing place to host our holiday! We loved the beautiful apartment & the great location! We loved playing locals shopping on 'our street' & enjoying the neighborhood restaurants! The Chinese/Asian fast food downstairs came in handy for take-away &..."
Our 5th Paris Perfect stay - and St Julien our absolute favourite. Something about the windows over the Champ de Mars, the way the light filters through - so special. Wonderful food on rue St Dominique. Enjoyed Fontaine de Mars, have tried all of Christian..."
Thank you so very much for providing such a beautiful & well equipped apartment. 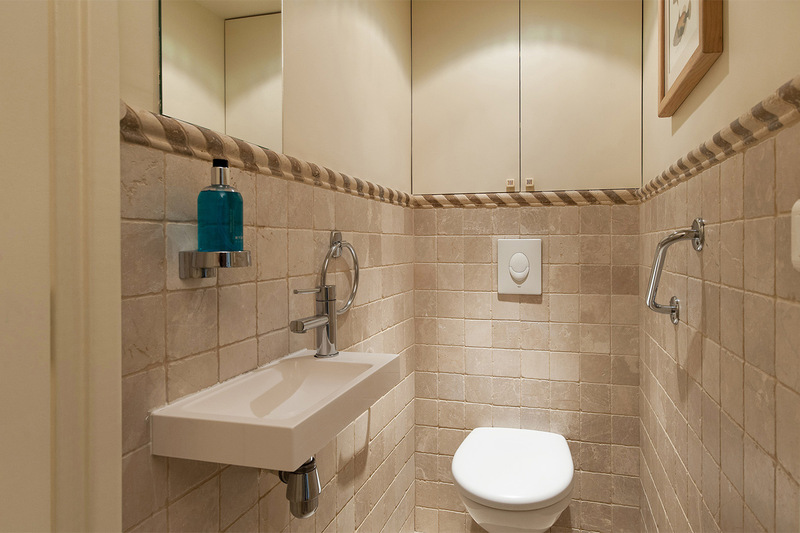 You thought of just about everything to make our stay in Paris comfortable & memorable. The location, with nearby boulangeries,..."
"Paris has again cast her magic spell over us - a very special place made even more so by our wonderful apartment - for 10 days we have become 'Parisiennes' soaking in the wonderful atmosphere of the 7th. Our stay could not have been more perfect. To Madelyn, Philippe, Carolyn, all..."
Great Apartment, Amazing Location and we have had a fantastic time. Our favourite restaurant by far was Les Cocottes on Rue Saint Dominique. The food was divine and the service was exceptional. We can't recommend it enough! "We have had a wonderful stay in Paris. A fantastic city & terrific accommodation. The apartment has been a great place to stay & it did feel very much like home. Thanks to all - we will definately be back & will highly recommend this to our friends." "What a joy to stay at your apartment on Rue St. Dominique! The neighborhood couldn't possibly be better for a family to enjoy. The shops and shopkeepers were so friendly and helpful, their foods SO good. The proximity to Champ De Mars, Invalides and the Eiffel Tower was ideal. We were also..."
"We had a wonderful time in our St. Julien apartment. Several years ago we decided that staying in an apartment was the only way to "live" the French experience. St. Julien had all the wonderful extras that we have come to enjoy--the classic decor, beautiful linens, towel warmers, and that..."
"The apartment was great. The handbook you provide is excellent. The guidebooks in the apartment were a nice discovery. The team was terrific. Our greeter was very nice and informative. Having the office a block away was extremely convenient. The team couldn't have been nicer and more helpful." Situated on the left bank of the river Seine, unquestionably one of the best and liveliest neighborhoods in Paris. 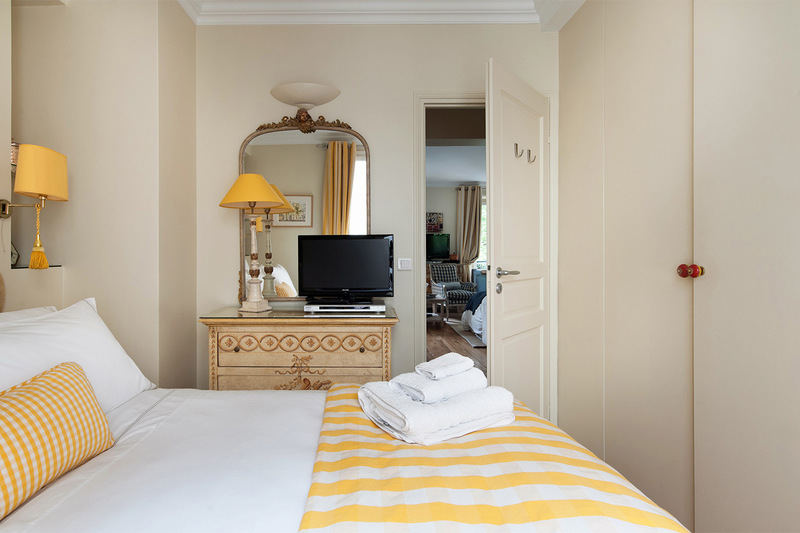 You are a stone's throw from the Seine, Parisian monuments and museums. 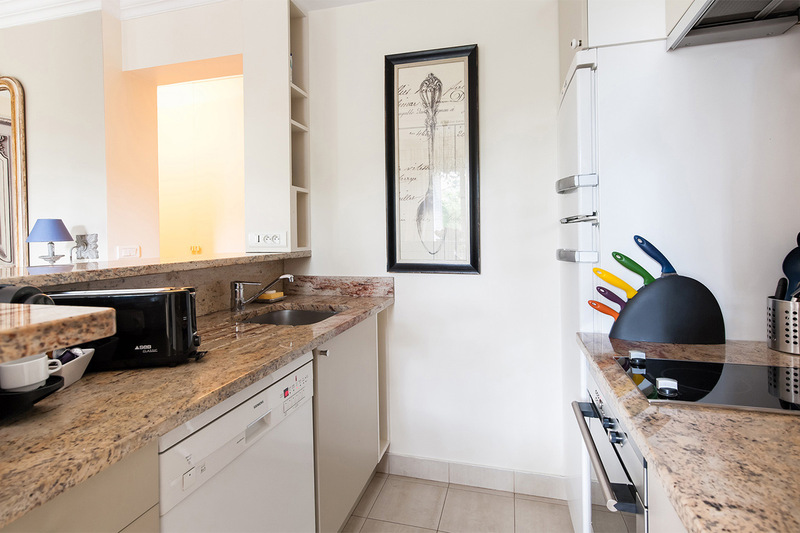 The apartment is surrounded by cafés, shops, restaurants and open markets which our guests love. 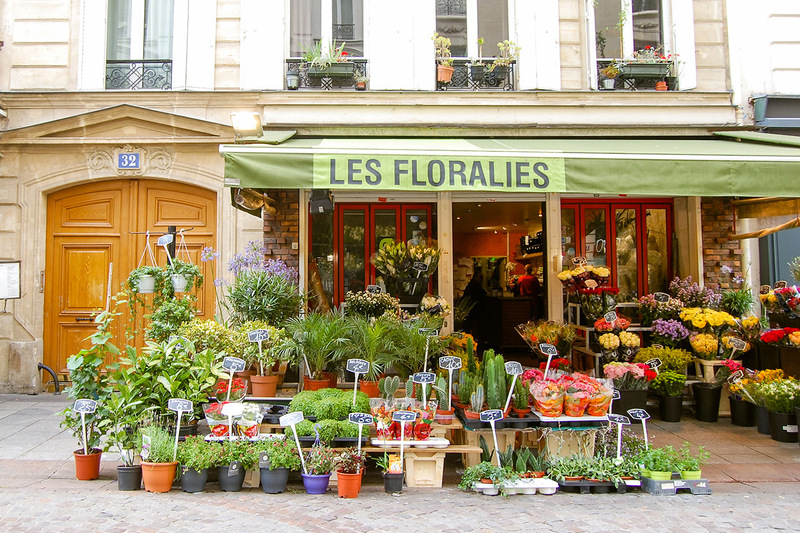 This part of the 7th arrondissement has uniquely retained its village feel, shop at the best open markets in Paris and live 'la vie Parisienne'. 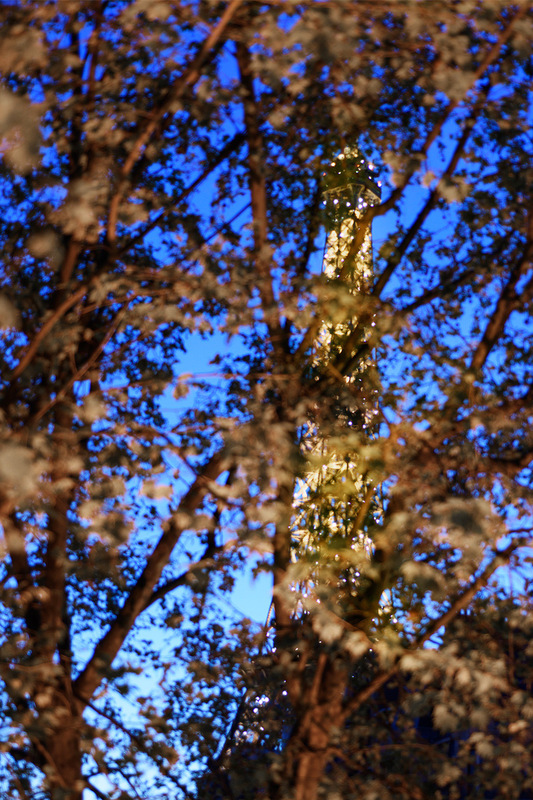 View of the Eiffel Tower through the trees; it is best seen when the lights come on at night because of the foliage. View straight to the Champ du Mars gardens and Parisian life below. Our neighborhood is famous for its open food markets where you will find more than any other quartier in Paris. Merchants come from all over France with wines, fruits, vegetables, flowers, fish, Brittany lobster, pâtés, breads, even five types of escargots! You are also surrounded by restaurants, bistros and shops that local Parisians go to. 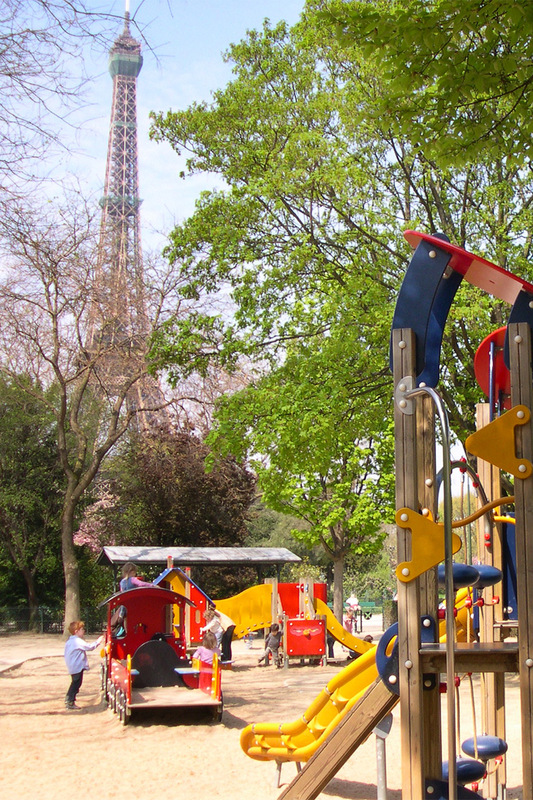 Champ de Mars Park (1 min walk): A rare bonus in Paris as there are few large parks in the center of the city. Walk, run, play in one of the playgrounds, shoot some hoops on the basketball court, go to the puppet theater or just sit and enjoy. Nearby skating and bike rental are fun activities in the park, especially after strenuous site seeing. Rue Cler (4 min walk): One of the best and most famous streets for food in Paris; open every day including Sunday morning. Our favorite cheese merchant is here; tell them which day you wish to eat it and they will hand pick the perfect selection! Ecole Militaire (5 min walk): Napoleon attended military school here and it later became his headquarters. The buildings still show signs of the gunfire from the French Revolution in 1789 and the shelling when the Prussians declared war on France in 1870. Seine River (6 min walk): stroll along the Seine at sunset. Boat Tours (6 min walk): Bateaux Mouches, Batobus and Bateaux Parisiens boat tours. Pont de l'Alma (8 min walk): Largest open market in Paris; open every Wednesday and Saturday morning. Invalides (10 min walk): a masterpiece of French Classical architecture built by Louis XIV. Napoleon's tomb rests under the golden dome. Grand Couturier's on Ave. Montaigne (15 min walk): From Dior to Chanel, to Hermes, Givenchy, Valentino, Bonpoint, Ungaro, Ynes de la Fressange, Loewe, Bulgari, Ferragamo, Max Mara, Scherrer, to the outrageous Jean-Paul Gaultier and many, many more. Four Seasons George V, Plaza Athenee' Hotel (15 min walk): Enjoy afternoon tea or 3-star dining after a hard day of shopping. You will appreciate even more our luxurious apartments with unforgettable views when you check the prices of their rooms! Trocadéro, Grand Palais (15 min walk): Home to world famous art exhibitions. Rue de Grenelle (18 min walk): Prices are excellent at this market located in the 15th arrondissement. Open on Wednesdays and Sundays. Ave du Saxe (18 min walk) Undoubtedly one of the most beautiful markets in Paris. Find many organic and deluxe food stands. Open Thursday and Saturday. Musee' Rodin (20 min walk): A testament to Rodin's work; visit The Kiss sculpture and picnic in the gardens. Rue du Commerce, near La Motte Piquet metro (20 min walk): Lively French neighborhood: find excellent fresh foods, loads of clothing stores and perfume shops as well as the Monoprix department store (a French Target), with supermarket on the first floor -- good quality and great prices. Champs Elysées (20 min walk): Visit the Louis Vuitton flagship store. We leave several Paris guidebooks and other information on the neighborhood for you to peruse during your stay. Please let us know if you have any other questions about our St Julien short term rental or if we can help in any way. We think your stay at www.parisperfect.com will bring you memories of a lifetime! Pont de l'Alma RER suburban train (7 min walk): takes you directly to Invalides, Notre Dame and more. Take a day trip to Versailles. Bus: Catch the 42, 69 and 87 at the main bus stop at avenue Joseph Bouvard (1 min walk). There are also other stops along rue Saint Dominique and avenue de la Bourdonnais.